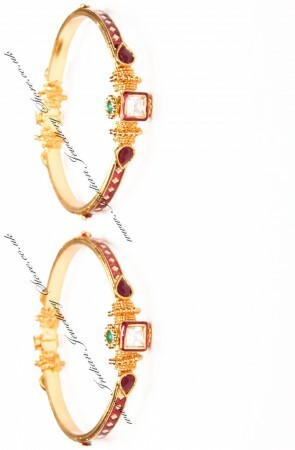 PAIR Indian bangles in 22k gold plated & maroon red with accent of bottle green. 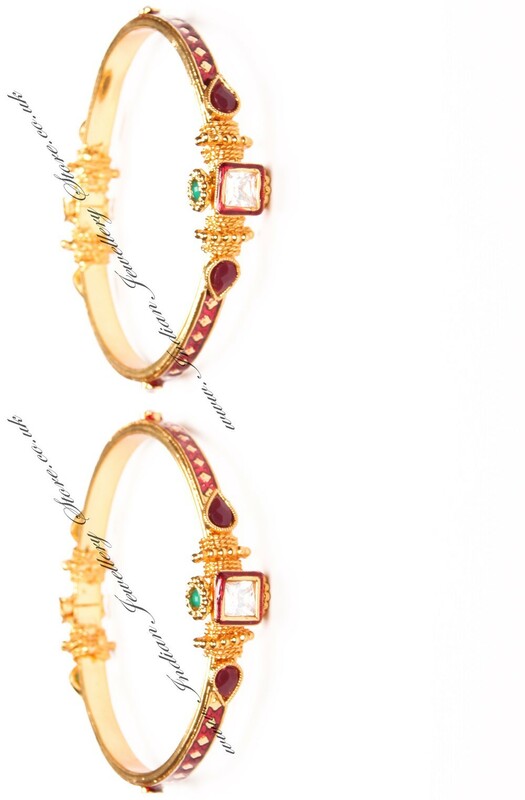 Set with meena work & polki stones. Size: 2.6, i.e 2 & 6/16 inches inner diamerer (medium) - although there is a screw fastening so will fit other sizes. Bangle thickness (aprox max): 1.5cm.